Can personal bonds bridge political chasms? John Henry Davis directs Tony Abatemarco and David Nevell in a brilliant and funny play of ideas by Lee Blessing. 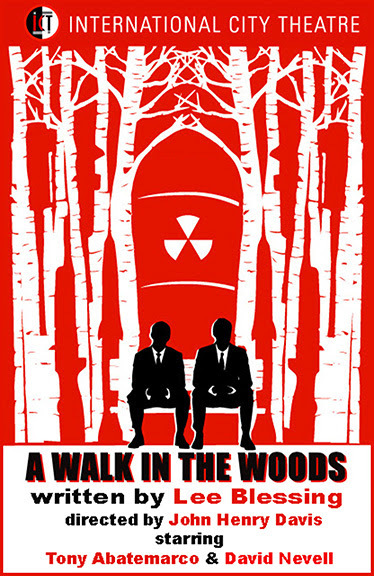 A Walk in the Woods opens April 29at International City Theatre, with two low-priced previews set for April 27 & 28. Winner of the prestigious American Theatre Critics/Steinberg New Play Award, and nominated for both the Pulitzer Prize and a Tony Award, Blessing’s dramatic comedy was inspired by historic conversations between a pair of arms negotiators during the Cold War. In the play, Abatemarco plays Andrey Botvinnik, a cynical career Soviet diplomat, and Nevell is John Honeyman, an idealistic American negotiator. They meet in the woods outside Geneva to explore the obstacles their countries face on the path to peace. 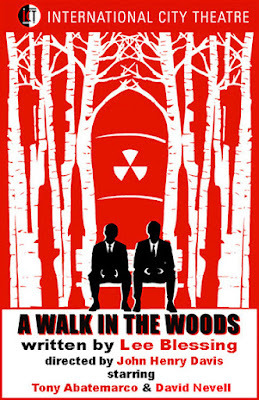 For tickets, check out www.InternationalCityTheatre.org.